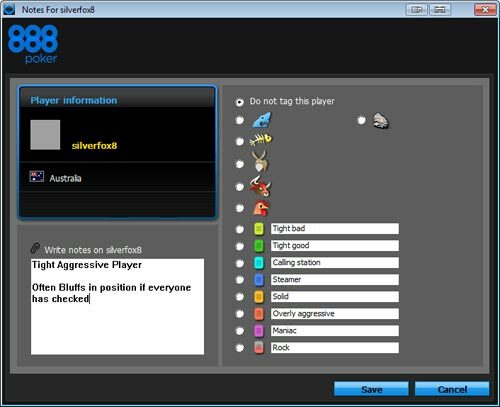 Most players are not aware of a key feature that most online poker software allows which is the ability to tag poker notes to other players. Once you have taken notes on a particular opponent, every time you sit down at the same table again with him/her then there will be an icon next to their name which allows you to access the notes and recall important information from the previous times you have faced off. Poker note taking is one of the smartest and easiest ways to improve your results. Knowing how an opponent plays and their tendencies and patterns is a key factor to winning in poker. Millions of people play poker online every day. No matter at which site you play or at what level you play, you’ll play against many different players over time. Each time you play against an opponent you learn about their play but it is impossible to remember all this information for the many hundreds / thousands of players you face without help. If you regularly play on one online poker site, at the same stake levels and game types, you will be surprised at how often you face the same opponents day after day. Taking notes on these players will really put you ahead of the game, allowing you to instantly recall vital information in seconds, that otherwise might take hours of sitting playing against that opponent to rediscover. Oh….. and by the way….. I’m not talking about taking personal notes about the players like “This guy is an idiot” or “Her profile picture is hot” (although you could if you really wanted to)….. You should be taking notes about their game to help you beat them. So lets take a look at the kind of notes you should be looking to take to permanently store the secrets of how to beat your opponents. By paying attention and taking notes about your opponents, you’ll be able to make informed decisions in the future when you sit at the same table as they do. It’s important to learn how to recognise playing tendencies and leaks in other players games. The first thing you need to do is to work out what style of player they are. Now this can take many hours of playing with them to really get a grip of, which is why once you have invested that time, you should be taking a poker note on the player to permanently store that hard earned information for the future. By knowing these two elements of your opponents style you can instantly do a better job figuring out what range of hands they might have in certain situations. You can also predict how they are likely to play in any given hand, which allows you to amend how you play the hand to take advantage of this. For example, if you have notes on a player you are involved in a hand with that says they are “Loose and Passive”, you know that they play too many hands and play them passively. This means that on average they enter the pot with a hand that is probably weaker than yours (assuming you play a tight style – which you should be), and that they will tend to let you lead the action after the flop and take down pots if they don’t hit anything. You can use this information to help you with many decisions…. Whether or not to call a bet on the river. This type of information can lead to a great deal of additional profit to a good player over time. It can also be beneficial to keep notes about particular hands you have played against an opponent. This can give you an insight of the patterns of how they played particular hands which will help you to spot the same pattern in the future and help you read your opponents hand. This can be particularly useful to note patterns of a player when they have attempted a bluff, or played a particular type of hand, like a premium hand (Aces, Kings etc.) This will give you trigger points in the future where you will know either to get the hell out of the way (if his pattern shows he has a premium hand) or to call his bluff. How did they play pocket aces? Did they raise with them before the flop or did they limp? Did they check-raise throughout the hand or lead out with strong bets? Did they chase a flush draw even though they weren’t getting the correct pot odds? Did they let you draw to a flush without charging you to do so? Do they bluff often or not at all? Are they likely to go on Tilt? Can I get this player to go on tilt by certain actions, like using the chat box after they have lost a hand? If you play against certain players often, do they play better in the morning or evening? These are just a few of the things you can track. The more information you have about your opponents, the better chance you have of beating them. 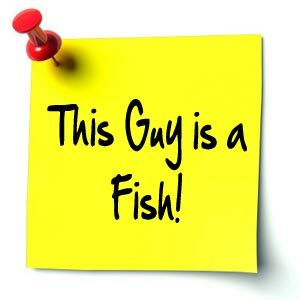 Poker Note Taking – How to Do It? Many poker players who do take notes develop their own type of short hand system so that their notes don’t take too long to read and don’t take up too much room. You should develop your own, after all only you have to understand it, nobody else will see your notes. To give you an idea here are some common abbreviations that you can use to start taking your own notes. You can develop any type of note taking system that works for you. You don’t even have to use abbreviations–you can just type in what you want to remember. As you gain experience and have notes on more and more players, you’ll probably reduce most of your notes to an overall grade that includes tight or loose and aggressive or passive. When I take notes I put a question mark after any determination that I’m unsure about. This happens when I haven’t played enough hands against a particular opponent to determine if they play the same way all of the time. Call it an initial observation if you like. The next time I play with them at my table I have an idea of how they play but realize that I may need to re-evaluate my earlier notes. If I then re-enforce my initial observation I can remove the question mark to show it as a validated observation. While most of this article deals with using the poker software features to take notes, some players choose to take notes by hand. The main reason for this is if a player plays across multiple different poker rooms / software. Taking online notes is only available in the poker room software you took it in, and is not transferred across to a different room. However usually you will find that you will play against a different set of players at another room, and rarely come across the same regular players at both. this is especially true at the lower and medium stakes, might not be the case so much for the higher stakes. The best system to take notes by hand is a box of index cards with alphabetical tab dividers. This way you can have a card for each opponent and quickly see if you have any past notes. Bear in mind that a player may have different usernames at each poker room. When you sit down at the table, simply look in your file and see if the players at the table have cards. For the ones who do not already have cards, start a new card. When a new player enters the game, find their card or start a new one. When your playing session is finished, simply file all of the cards for future use. As you play more and more, this type of note taking system can become unwieldy. I don’t recommend it, mainly because the poker software makes it so easy to do online while you are playing. In addition, you won’t lose your notes or have something happen to them. A better solution than the manual note taking is one of the independent poker tools that are available. These are software programs that run along side your poker software to provide information and statistics as you play. They will also track and help you to analyse your play and the play of your opponents. One of the most popular tools is Poker Tracker which I have used, and it can be a valuable tool if you are serious about improving your game and making money playing poker online. Hopefully, I have managed to convince you of the benefits of poker note taking. It takes a few seconds now and then to take a note and it saves hours of research time the next time you come up against that player. And remember, most online poker players don’t take notes or even pay attention to the game, especially when they’re not involved in a hand. This is one of those areas where you can get a real edge over most players. And poker is a game of finding small edges and exploiting them.